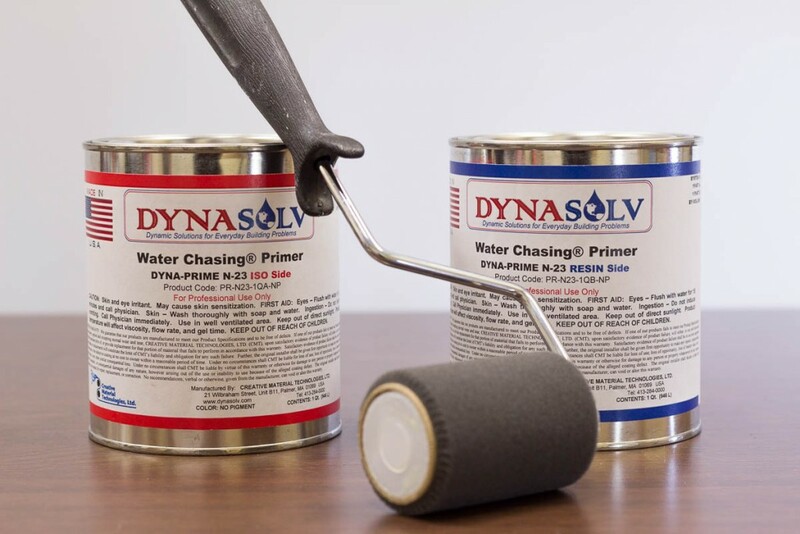 DYNA-PRIME™ N-23 Water Chasing® Primer is a brushable/rollable grade of 100% solids polyurethane that has been that has been specially formulated as a high performance damp concrete primer. 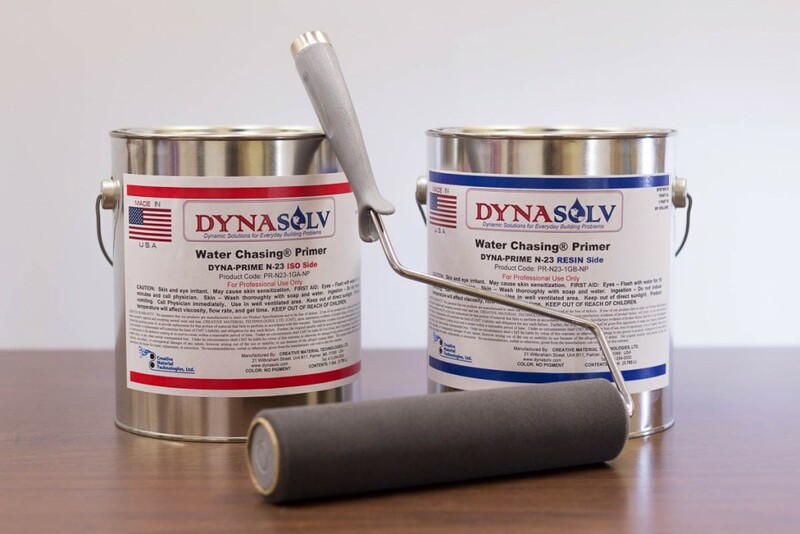 DYNA-PRIME™ N-23 Water Chasing™ Primer penetrates deeply into wet porous substrates where it reacts chemically with the water, providing a vapor barrier. 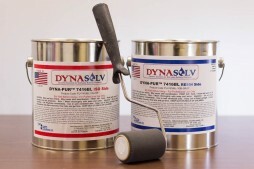 DYNA-PRIME N-23 seals damp concrete to allow ease of topcoat application. 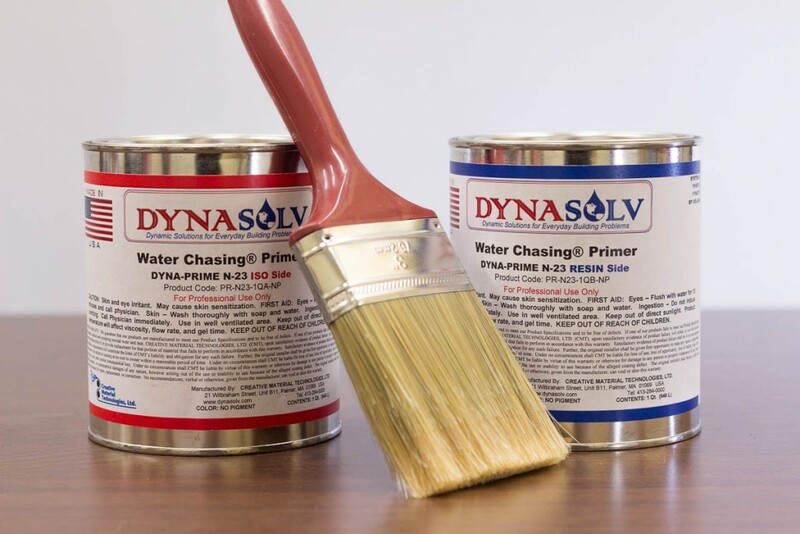 DYNA-PRIME™ N-23 Water Chasing™ Primer has zero VOC’s and is a two-component primer. 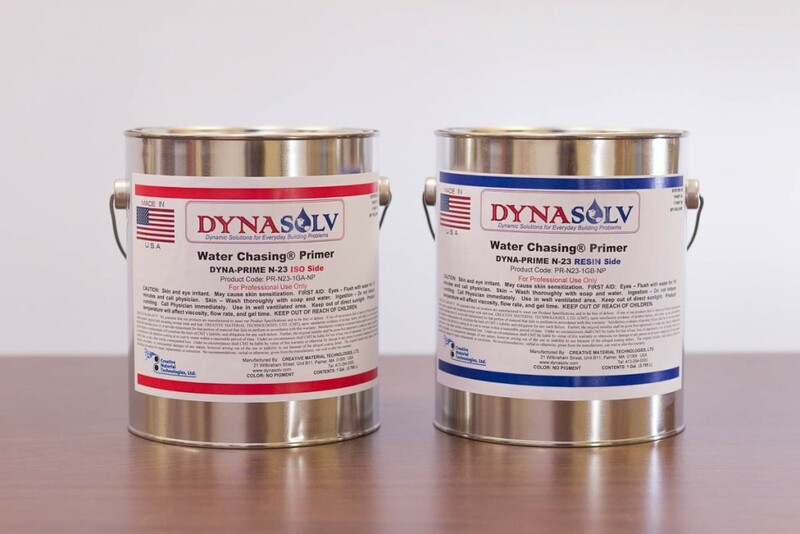 DYNA-PRIME™ N-23 Water Chasing® Primer has a 1 to 1 mix ratio of Iso to Resin. 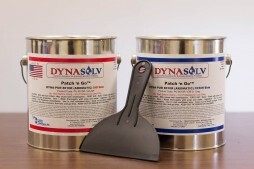 DYNA-PRIME™ N-23 is available in various sizes: 2 Quart Kits, 2 Gallon Kits; 10 Gallon Kits, and Drum Sets. (Call +1 (413) 284-0000 or Contact Us to Order Drum Sets). 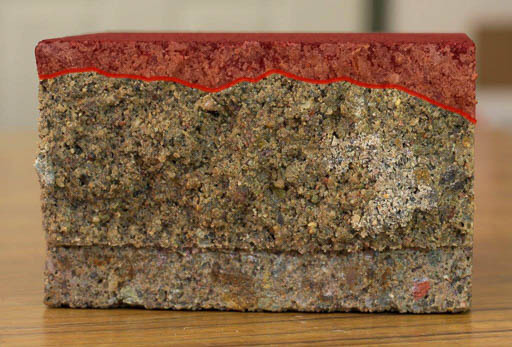 Use wherever water saturation is present in a porous substrate. 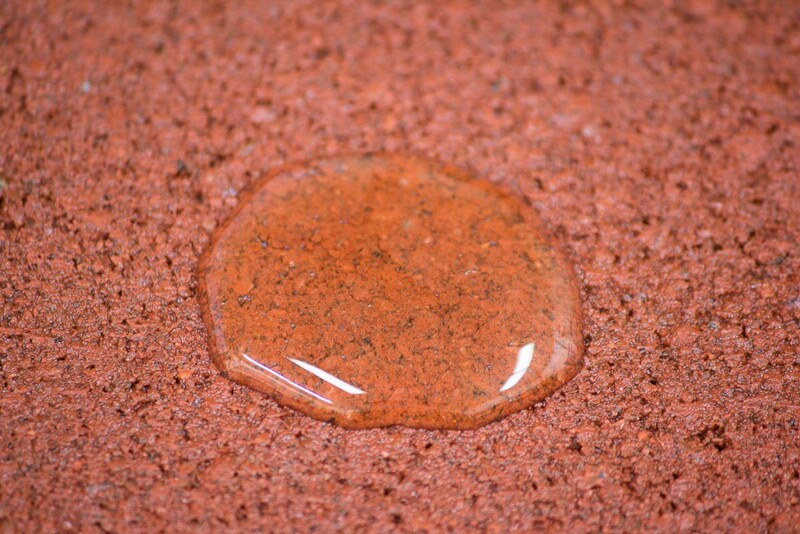 Use for waterproofing applications to stop and prevent seepage of water through the substrate. 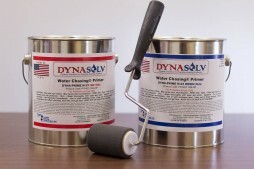 Use as a positive chemical bonding primer to reactive chemistries (epoxy, polyurethane, polyureas). 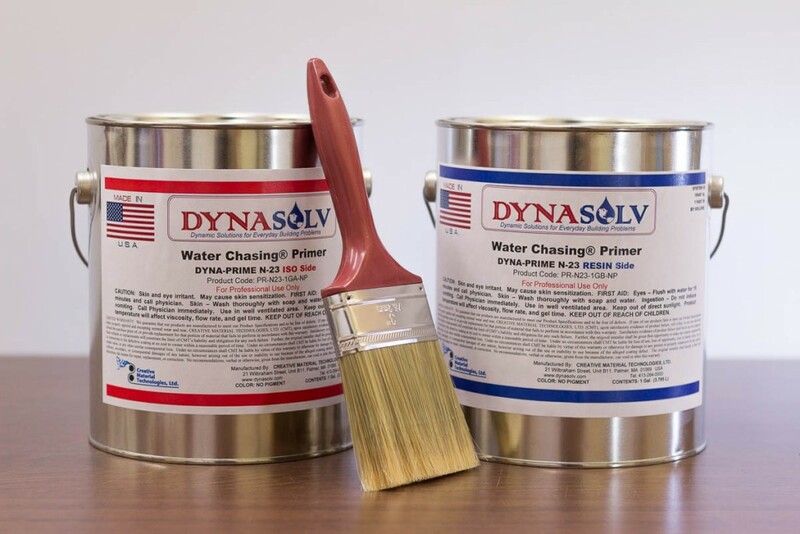 DYNA-PRIME™ N-23 Water Chasing® Primer penetrates the surface of concrete, brick and other surfaces (forming a thick vapor barrier) to permanently seal out moisture. 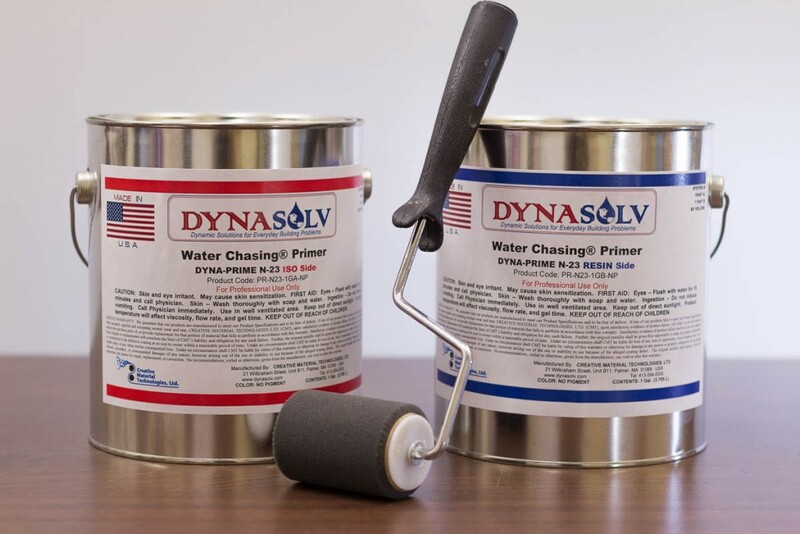 The capacity to stop active leaks with the N-23 has created an entirely new waterproofing business for me. Thanks. The job went freakin’ great. My customer was impressed with the product that stopped their active leak. 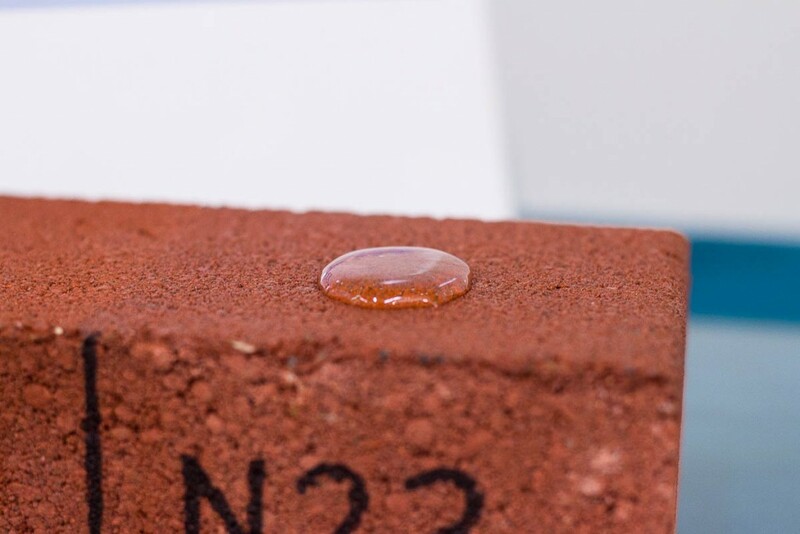 The way the product absorbed the water was incredible; and without any solvents or VOC’s. 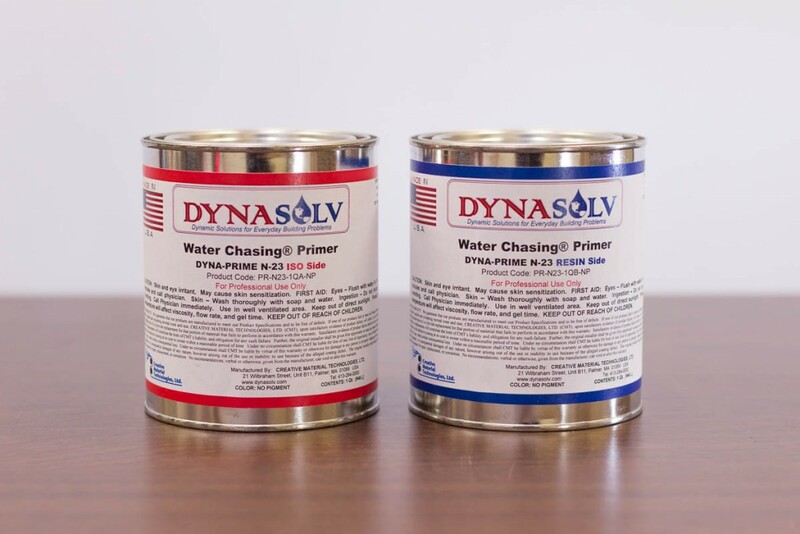 I strongly recommend the Water Chasing® N23 primer. 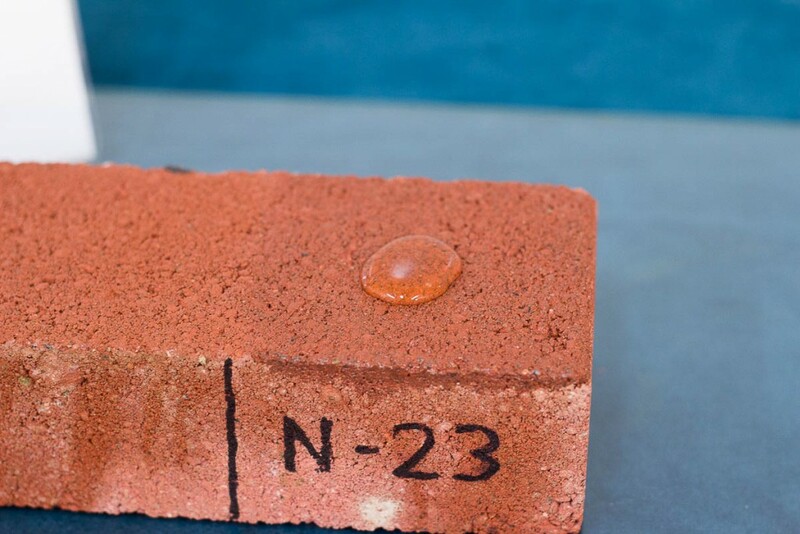 As a concrete primer N23 is simply superb; easy to apply, high performing, with long lasting excellent results.